Although the first written reference of brussels sprouts is found in 16th Century Roman literature, it’s thought that these mini-cabbage-like veggies were first grown in the 13th Century in a country that is now Belgium. Brussels sprouts made their way to the United States in the 18th century when French Settler’s arrived in Louisiana and somehow developed an unpopular reputation. 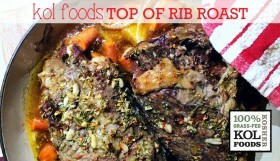 Clearly, people have been cooking them wrong for centuries. A couple of days ago I excitedly shared a post about getting back to nature and making grilled polenta from scratch. 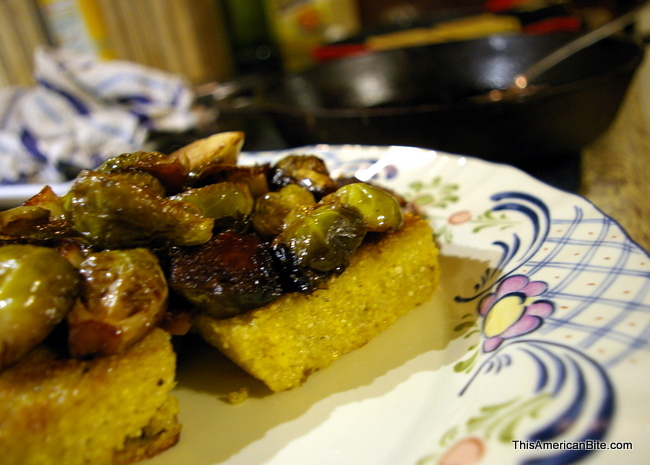 My grilled polenta was served topped with brussels sprouts that I caramelized with some balsamic vinegar, lemon and maple syrup. 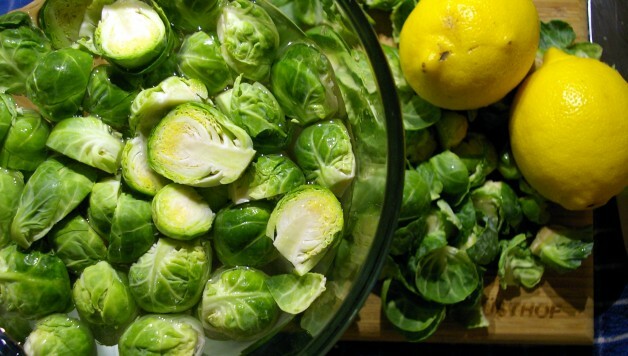 I happen to like brussels sprouts straight up, and often we will roast them with lemon juice until they are soft in the middle and crisp on the outside. This time, I did things a little differently and the result was phenomenal. The transformation from the bright green raw sprout to the soft and caramelized spout is so quick and painless that I made this dish while putting our two year old to bed. Tweet this. Fill a bowl with water and add a generous pinch of salt. 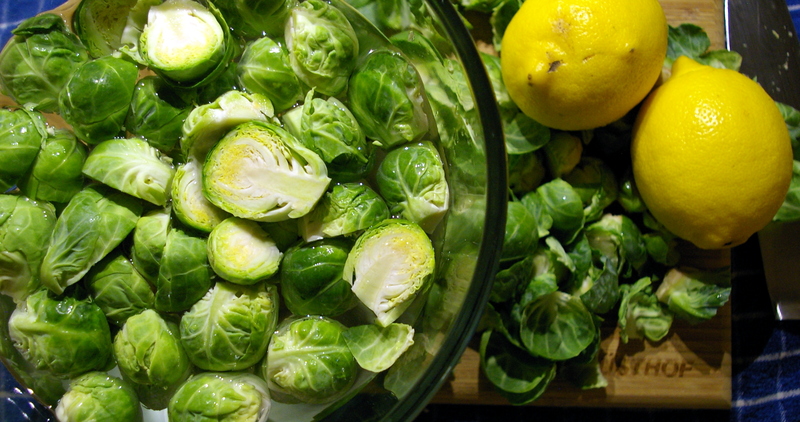 Remove the tip of the brussels sprouts and cut them in half. Set in the salt water for thirty minutes. Any bugs between the leaves should float to the bowl allowing you to throw them out. 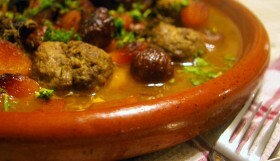 Place an oven proof skillet on the stovetop and drizzle olive oil and set the heat to medium. Take the brussels sprouts out of the water, pat them dry with some paper towel and put into the skillet, flat side down, once the oil is warm. This way you get a nice sear on the flat side of the brussels sprout before you turn them over. If you’re not sure if the oil is hot enough yet, put one of your brussels sprouts in the oil, if there is a sizzling sound, the oil is ready. If there is no sound, it’s too soon. 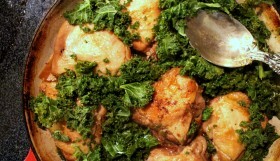 After about five minutes, squeeze the juice of one lemon into the skillet, followed by two teaspoons of balsamic vinegar. Then drizzle a little maple syrup over the brussels sprouts and turn the heat to low. Once the underside of the brussels sprouts have caramelized, mix the sprouts so the other side can cook too. 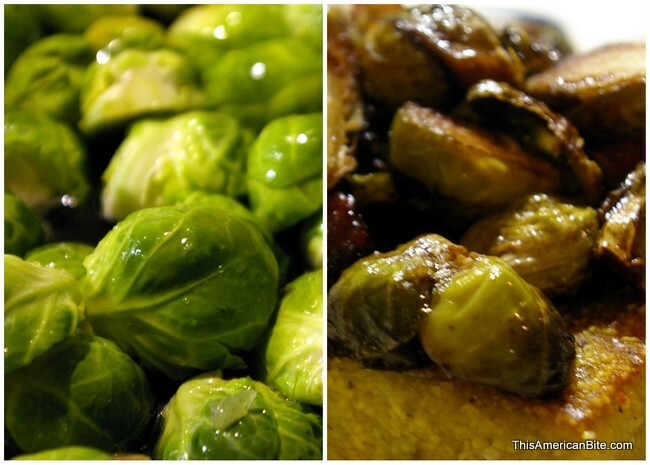 If you plan to eat right away, the brussels sprouts can go from skillet to table. I like to put them in the oven at 350 for about 20 minutes so that all the brussels sprouts are evenly cooked. 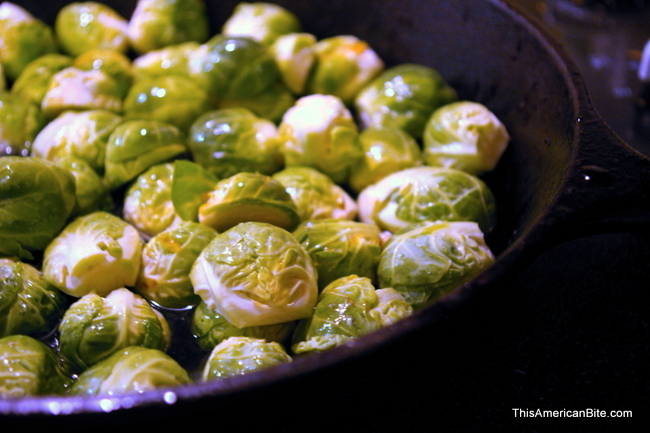 The brussels sprouts will keep getting softer and sweeter as they cook but they start to burn after about 30 minutes. 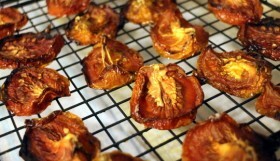 If you want to keep them warm, reduce the oven temperature to 250. Maple, Balsamic and Lemon Brussels Sprouts served on top of Lamb Stock Grilled Polenta.